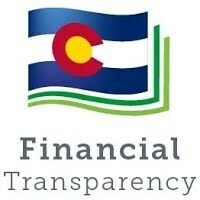 It is the goal of STEM School Highlands Ranch to maintain total financial transparency to the public. This includes our parents, business partners, stakeholders and community. On this website you will find our monthly financial reports as well as bank statements, budgets and other compliance information. To comply with all Financial Transparency regulations, STEM is posting financial transactions online on a quarterly basis. These will be updated 45 days or sooner after the quarter end. STEM School Highlands Ranch will follow the CDE Article 44 of Title 22, C.R.S. Part 3 Public School Financial Transparency Act and will post documents as required by this act. Disclaimer: Please consider the context when evaluating financial transactions. Some transactions may appear improper on the surface, but are perfectly normal and justifiable when placed in the proper context. We welcome your questions regarding our financial transactions or records, if you would like to inquire about financial information, please see contact below.